The price of bitcoins has been rising continuously for some time now. The price of cryptocurrency has surged rapidly, trespassing several thresholds one after the other. First it surged past $5,000, then $10,000, followed by $17,000 before touching $17,900 on Friday. Notwithstanding the sceptics' warnings on the legitimacy and the future of bitcoins, the cryptocurrency traders have been soaking in the bitcoin euphoria by infusing capital. The rally got a shot in the arm when Cboe announced that the exchange would commence trading in the digital currency's futures starting December 10. It followed by a similar announcement by the CME Group. However, the Indian regulators, starting from the Reserve Bank (RBI) to finance ministry, have been extremely cautious in apprising the investors of the perils of investing money in bitcoins, among other digital currencies. 1. On December 24, 2013, the Reserve Bank of India (RBI) cautioned the users, holders and traders of virtual currencies, including bitcoins, about the potential risks that they are exposed to. "The creation, trading or usage of (virtual currencies) VCs including Bitcoins, as a medium for payment are not authorised by any central bank or monetary authority. No regulatory approvals, registration or authorisation is stated to have been obtained by the entities concerned for carrying on such activities," the RBI had said in a press release issued in the 2013-end. 2. The RBI had stated five major risks of trading in bitcoins. The first is the fact that digital currencies, being in electronic format, are prone to losses arising out of hacking, loss of password etc. The second risk is the lack of any authorized central agency to regulate the payments or to turn to for redressal of grievances. The third is that there is no underlying of asset for VCs, making the value a matter of speculation. Fourth is that the exchanges are located in various parts of the world, making the law enforcement a tricky thing for the multiple jurisdictions available. Fifth is that trading may subject the user to illicit and illegal activities since the VCs, can easily be used for illegal activities anonymously. 3. On February 1, 2017, the central bank again reminded the users of risk involved in bitcoin trading. "The Reserve Bank of India advises that it has not given any licence / authorisation to any entity / company to operate such schemes or deal with Bitcoin or any virtual currency. As such, any user, holder, investor, trader, etc. dealing with Virtual Currencies will be doing so at their own risk," said RBI in the released early this year. 4. On December 5, 2017, the RBI reiterated its warnings in wake of significant spurt in valuation of bictoins. "Attention of members of public is drawn cautioning users, holders and traders of Virtual Currencies (VCs) including Bitcoins regarding the potential economic, financial, operational, legal, customer protection and security related risks associated in dealing with such VCs," said the RBI. 5. On March 15 this year, the finance ministry had constituted an inter-disciplinary committee chaired by Special Secretary in Department of Economic Affairs to take stock of the present status of VCs both in India and globally and suggest measures for dealing with such currencies. The committee comprises nine members including representatives of RBI, SBI, NITI Aayog and Department of Financial Services. 6. In May this year, the government sought public views on future of bitcoins. Government's official platform MyGov had asked, "Whether Virtual Currencies (VCs) should be banned, regulated or observed?" The comments could be posted before May 31. Nearly 4,000 submissions were made to the government's queries. 7. On June 27 this year, Arun Jaitley held a meeting to examine risks related to virtual currencies (VCs) such as bitcoins. Although several issues concerning bitcoins were discussed, no concrete decision was taken. The meeting was attended by IT minister Ravi Shankar Prasad, NITI Aayog (then) vice chairman Arvind Panagariya, and other senior officials. 8. In the first week of August this year, the inter disciplinary committee submitted its report to the finance minister Arun Jaitley. 9. On the future of cryptocurrencies, finance minister Arun Jaitley on November 30 said that recommendations are being worked at. "The government's position is clear, we don't recognise this as legal currency as of now," Jaitley said when asked whether the government has taken any decision on crypto currency. 10. 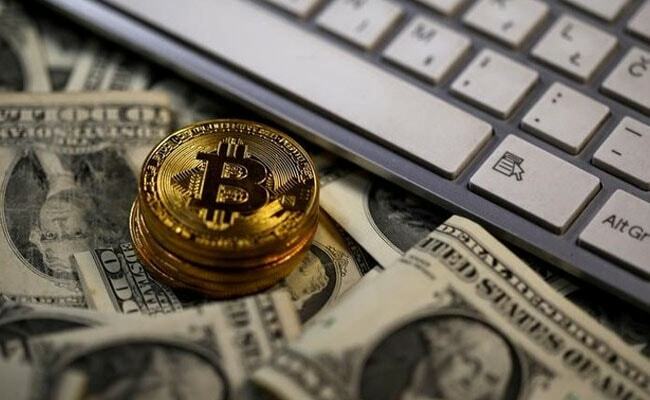 Income Tax (I-T) department mulls taxing the gains made by bitcoin traders and investors as it conducted surveys, on December 13, of exchanges in Delhi, Mumbai, Pune, Bengaluru and Hyderabad.